Attempting to rise above the secrets of her past, Bolanle, a university graduate, marries Baba Segi, who promises her everything in exchange for agreeing to become his fourth wife. Thus she enters into a polygamous world filled with expensive clothes, a generous monthly allowance . . . and three Segi wives who disapprove of the newest, youngest, most educated addition to the family. There’s Iya Femi, a fiery vixen with a taste for money; Iya Tope, a shy woman whose kindness is eclipsed by terror; and Iya Segi, the first, most lethal, and merciless of them all. Bolanle quickly becomes Baba Segi’s prized possession . . . until her very presence unlocks a secret that the other wives have long since guarded, and unleashing it could change life as they know it. Lola Shoneyin‘s work includes three books of poems: So All the Time I Was Sitting on an Egg (1997), Song of a Riverbird (2002) and For the Love of Flight (2010) and two children’s books: Mayowa and the Masquerades (2010) and Iyaji, the Housegirl (2014). 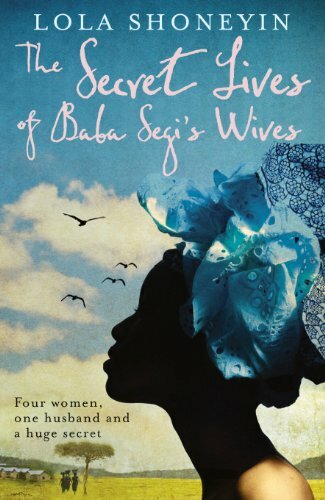 Her debut novel, The Secret Lives of Baba Segi’s Wives (2010), was long-listed for the 2011 Orange Prize for Fiction and won the PEN Oakland 2011 Josephine Miles Literary Award. After teaching both in Nigeria and abroad for many years, Shoneyin now lives in Lagos, Nigeria and organizes the Ake Arts and Book Festival.